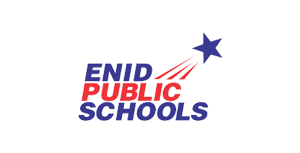 Enid Public Schools, established in 1892, is a public school district located in Enid, Oklahoma, USA. It consists of one high school, three middle schools and eleven elementary schools, which are commonly referred to as „neighborhood“ schools. The district also has an alternative school, as well as an adult education center and represents one of Oklahoma’s fastestgrowing districts, currently serving 8,063 students with 1,200 teachers and administrative staff. Archiving method Enid Public Schools use MailStore Server to archive all incoming and outgoing emails (journal archiving). This method has the advantage that the integrity of the archive can be backed up and emails cannot be manipulated before they are archived. This ensures compliance with legal requirements. Evaluation of the technical documentation “Documentation is concise, helpful and complete for installation and configuring MailStore Server.